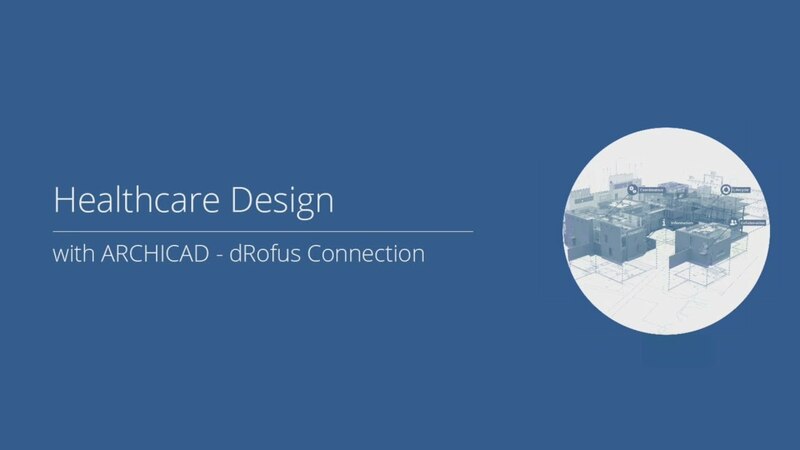 dRofus is a unique planning, data management, and BIM collaboration tool. dRofus provides all stakeholders with comprehensive workflow support and access to building information throughout the building lifecycle. Plan, manage and maintain data for departments, rooms, room templates, finishes, items, systems, and components – all in a single cloud-based platform. dRofus is a SQL server database that will provide state of the art performance and speed regardless of project size, type or complexity. For a detailed description about key features and modules visit the dRofus website. Using this tool, a bi-directional link can be established between ARCHICAD and the dRofus database. This connection is especially advantageous in case of large and complex buildings - such as healthcare facilities or airports - that come with very detailed and complex building programs. Functional requirements derived from the building program are best managed in specialty tools such as dRofus. Please watch the following video to see how the Building Information Model in ARCHICAD can be connected to the room and item database in dRofus, and what benefits this tight integration bring to designers and clients throughout the various design phases.